15 Nisan 2019 Pazartesi 18:02 - 1 reads. "The final yes to the new copyright rules on the web"
"the new EU copyright laws on the web has now finally been voted through." "Sweden's turn at the last moment played no role in the council of ministers voted in Luxembourg." "With the figures 19-6, got"
"The six no-the countries in the vote were Italy, Luxembourg, the Netherlands, Poland, Sweden and Finland." "Belgium, Estonia and Slovenia abstained." "the Changes have sparked hot debate during the past year, but has now been approved by both the EU parliament and the EU council of ministers." "the Opponents: too far Gone,"
"the Changes are to modernise the laws that have not kept pace with in recent years, rapid technological development and at the same time give stronger rights to the writers, photographers and artists." 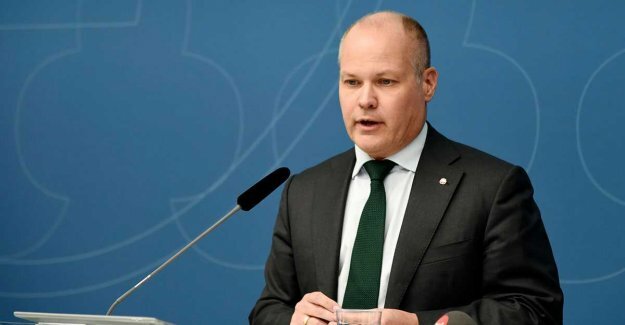 "the Opponents think, however, that the legislators have gone too far and worry about what you call länkskatter and the need for uppladdningsfilter." "A certain uncertainty" lived on in the final since Sweden and Estonia decided to no longer say yes to the proposal. Countries no was, nevertheless, not to stop the new rules, then Germany at the last moment chose to give a thumbs-up." "Germany, however, makes a statement to the minutes that you are critical of parts of the proposal." "the EUROPEAN commission in september 2016 forward a proposal for a modernised copyright rules in order to adapt them to the digital developments that have taken place since the previous regulations were introduced from the beginning of the 00's." "the Proposal has, however, been a strong debate, not least because of its references to compensation at the time of linking (in its article 11, now renamed to article 15), and how the uploading of unauthorized material shall be checked (article 13, now renamed to article 17), which received the critics to talk about"
"In February reached however, the EU-parliament and EU member states reached a compromise which is now formally approved by both parties. Parliament voted by 348 votes to 274 at the end of march, while member states said ' yes ' with 19 against 6 on Monday."